IIC: Birzer for Tolkien's 111th Birthday! Time: 7:30 p.m. followed by Birthday cake reception! Event: Special Lecture and Party to honor the 111th Anniversary of J.R.R. Tolkein's Birthday! Topic: An Augustinian Understanding of The Two Towers: In Honor of a "The Long Deserved Party" for J.R.R. Tolkien's Eleventy-First Birthday! Bradley Birzer is Assistant Professor of History at Hillsdale College. A Senior Fellow with the Center for the American Idea in Houston, he has written extensively on Tolkien, James Fenimore Cooper, the American Frontier and American Indians, and Christopher Dawson. Description of Lecture: In honor of the 111 Anniversary of the birth of J.R.R. Tolkien and the release of the second film adaptation of the Two Towers by director Peter Jackson (released December 18, 2002), Dr. Birzer will lecture on the Two Towers from an Augustinian perspective. In 1958,at a Dutch bash for him, Tolkien told the audience: "I look East, West, North, South, and I do not see Sauron. But I see that Saruman has many descendants. We Hobbits have against them no magic weapons. Yet, my gentle hobbits, I give you this toast: To the Hobbits. May they outlast the Sarumans and see spring again in the trees." Conclusion: What would Tolkien think at his Eleventy-first Birthday? The following book by Dr. Birzer will be made available for purchase and a book signing or can be ordered at www.isibooks.org. Peter Jackson's film version of the Lord of the Rings trilogy, and the accompanying proliferation of Rings-related paraphernalia, has once again brought the work of J. R. R. Tolkien to a popular audience. There are, however, few full and accessible treatments of the religious vision permeating Tolkien's influential works. Bradley Birzer has remedied that with his fresh study, J. R. R. Tolkien's Sanctifying Myth: Understanding Middle-earth. In it, Birzer explicates the religious symbolism and significance of Tolkien's Middle-earth stories. More broadly, Birzer situates Tolkien within the Christian humanist tradition represented by Thomas More and T. S. Eliot, Dante and C. S. Lewis. 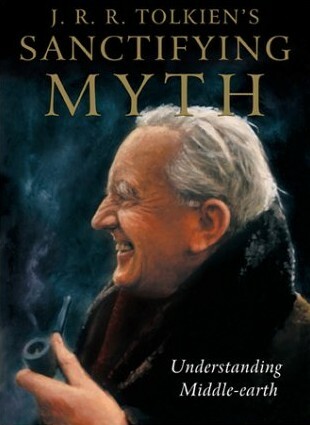 He argues that through the genre of myth Tolkien is able to provide a sophisticated—and appealing—social and ethical worldview.